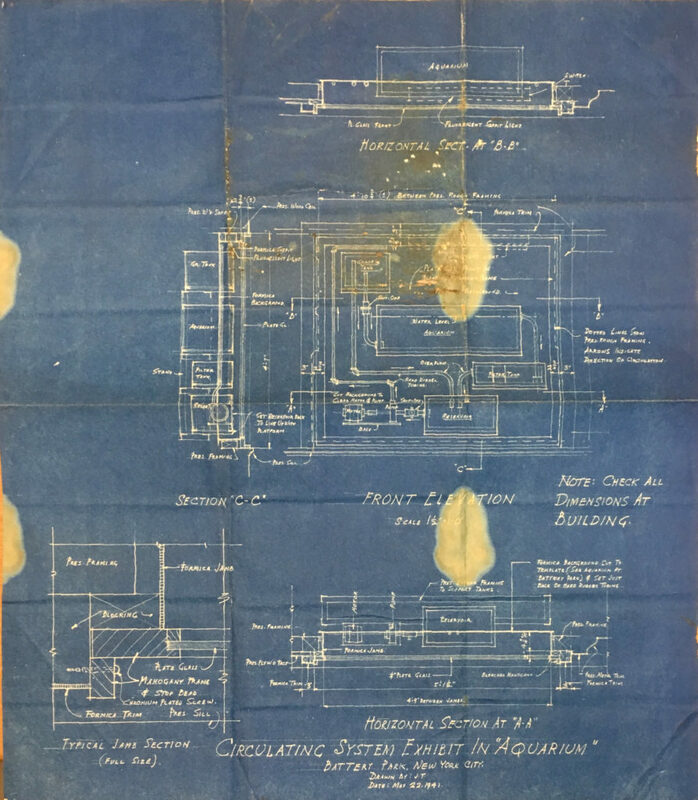 We are excited to share that the Charles Townsend records have been processed and a finding aid can be viewed online! Charles Haskins Townsend was the first director of the New York Aquarium (NYA) under New York Zoological Society management in 1902 and remained in the position until 1937. He found a love for nature early in life, stating in an autobiographical article that “I was too fully occupied with the natural world to consider the supernatural,” in regards to not following his family’s tradition to join the clergy. Prior to coming to NYA, Townsend worked for the United States Fish Commission and was part of two scientific expeditions. In 1885 Townsend went on his first expedition aboard the U.S.S. Corwin to the Arctic. The following year in 1886 he joined as the naturalist for an expedition on the U.S.S. Albatross, which spent ten years traveling to the Bahamas and the Canadian Maritime Provinces before voyaging to the Pacific, making stops around the Galapagos Islands, islands off the California coast, up the Pacific Northwest, and Alaska. Townsend’s records feature photos taken during these expeditions, including images of the locations they visited and the wildlife they saw there. Southern fur seals. Lobos Island, Uruguay. 1888. 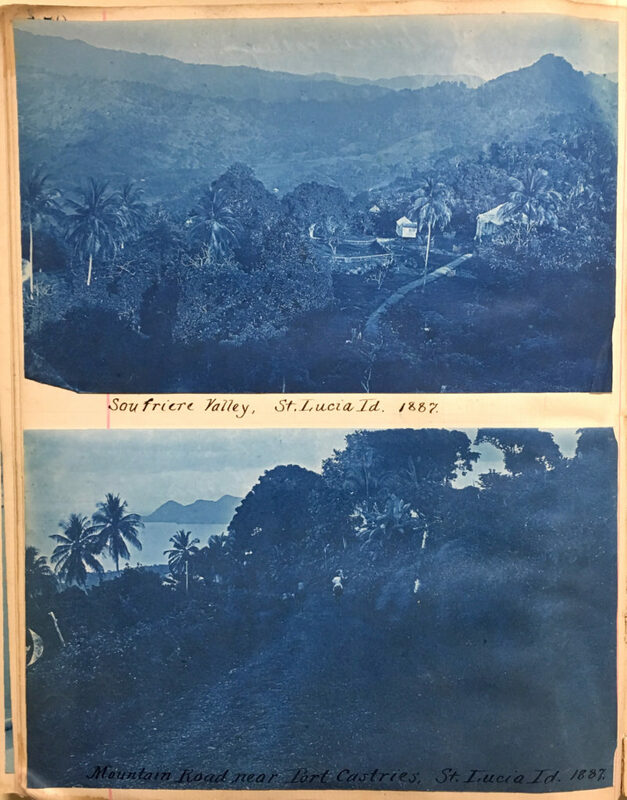 Page of cyanotypes from U.S.S. Albatross album. Bahamas, 1888. After returning from his decade spent researching, Townsend became Chief of the Fish Commission’s Fisheries Division. His final task at this job before moving on to NYA was to represent the United States at The Hague in the arbitration of a fur seal dispute between the U.S. and Russia. While he was in Europe, he traveled to aquariums on the continent and later used what he learned there to elevate NYA to become a more modern institution. Within his collection are photos he took of these other aquariums as well as material related to the improvements and renovations he implemented at NYA. 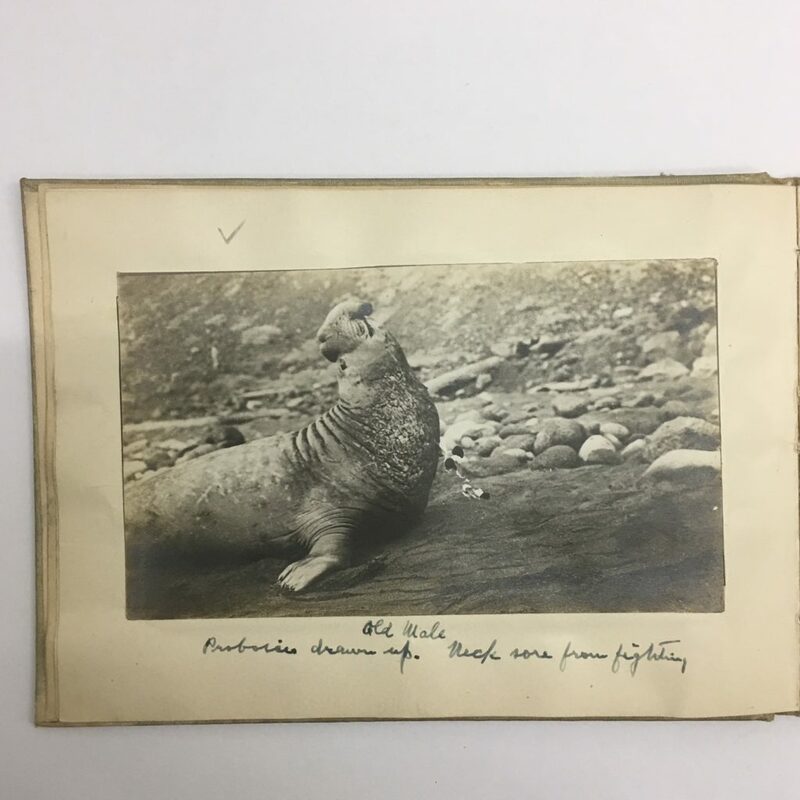 While he was director, Townsend worked to save the Galapagos tortoise, and this collection also contains records related to the tortoises that Townsend distributed to zoos across the US in an early captive breeding effort. His interest in tortoise populations led to an interest in whale populations, and he began collecting nineteenth-century whaling records that he used to create maps of the distribution of whale populations. The extensive records and resulting maps are part of this collection. The maps have been useful to modern conservationists working to save whales as well. 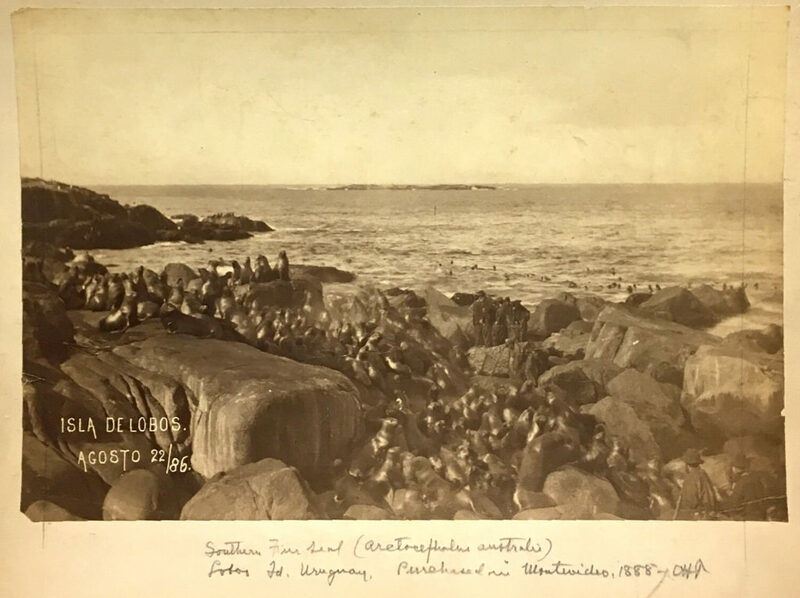 Townsend was also a leading voice in the protection fur seals, and that is reflected in his records through the subject files related to seals and the numerous articles he wrote about them. The Guadalupe Island fur seal (Arctocephalus townsendi) was later named in his honor. 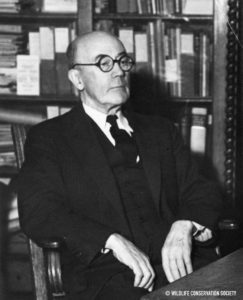 To learn more about Charles Townsend and the material in his records, take a look at the finding aid.